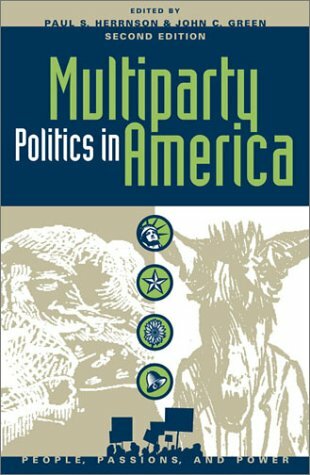 In the wake of Election 2000 and the Ralph Nader factor, these essays examines the possibilities for and performance of minor parties in the American political system. Will minor parties flourish or flounder in the 2004 election season? in Washington.Lynda W. Powell is a professor of political science at the University of Rochester and coauthor of Serious Money: Fundraising and Contributing in Presidential Nomination Campaigns.. Clyde Wilcox is a professor of government at Georgetown University. He is the author of numerous books and articles on campaign finance, religion and politics, and gender politics.